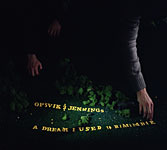 Eivind Opsvik moved to New York City in 1998 to be a part of the rich music scene. He's currently a member of a number of cutting-edge New York bands like Opsvik & Jennings, The UP, Kris Davis Quartet, David Binney's Out of Airplanes w Bill Frisell, Tone Collector, Tony Malaby's Paloma Recio, Rocket Engine and Ben Gerstein Collective. He recently also did a recording with pianist Jacob Sacks, Mat Maneri on viola and drum legend Paul Motian that's been released on Eivind's newly started record label; Loyal Label. Eivind’s own group OVERSEAS, with saxophonist Tony Malaby, drummer Kenny Wollesen and pianist Jaocb Sacks, has become a mainstay in NYC’s progressive jazz scene, performing regular gigs at hotspots like Barbès, Nublu, 55Bar, Knitting Factory and Zebulon; they have also toured Europe. His first CD as a leader, Overseas, was released in January 2003 on the Spanish label “Fresh Sound Records”. 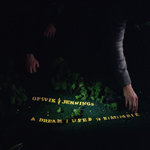 It features Eivind's compositions and some of New York’s finest progressive jazz musicians. The CD was very well received in the New York Times, Downbeat and JazzTimes and was on Downbeat's list: Best CD's of 2003. 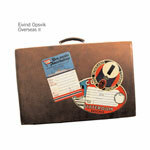 Overseas II was released in May 2005. 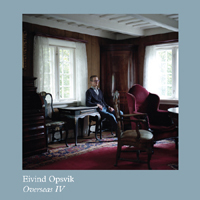 Overseas III, the third release on Opsvik’s Loyal label, was released in the spring of 2008 and is a collection of seven highly moody and colorful tracks and probably the most compelling and thematically focused project to date by his ensemble Overseas. Adding a unique organic edginess to their vibe is guest pedal steel guitarist Larry Campbell, who has played for years with the legendary Bob Dylan. Overseas III was recorded and mixed completely analog to tape by famed pop engineer Henry Hirsch, whose superstar credits include Lenny Kravitz, Madonna and Mick Jagger. Born in 1973 in Oslo, Norway, Eivind started out playing the drums at a very early age. In his teens he gradually switched to bass while also spending lots of time experimenting with recording on a four track tape recorder. All through the 90's Eivind played with a diverse array of Oslo-based jazz/experimental groups, performing at festivals and in clubs all over Europe with musicians like Paal Nilssen-Love and Christian Wallumrød. He also received a degree in classical bass from the Norwegian State Academy of Music. The most famous project from this time was the free improvising band the Quintet which featured the older legends Bjørnar Andresen and Calle Neuman along with the youngsters Ketil Gutvik, Paal Nilssen-Love and Eivind. They played all the major festivals in Norway and released a live CD on BP/Universal records, all to great critical acclaim. All About Jazz musician pages are maintained by musicians, publicists and trusted members like you. Interested? 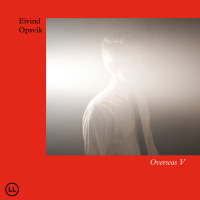 Tell us why you would like to improve the Eivind Opsvik musician page.